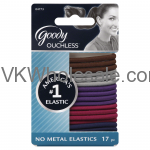 Minimum quantity for "Goody Ouchless 4MM Braided Elastics, Royal, 17 CT" is 12. 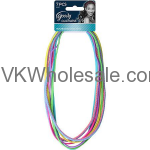 Minimum quantity for "Goody Ouchless Elastic Headwraps 06347" is 12. Minimum quantity for "Goody Ouchless Elastic Headwraps, Glitterazzi 08564, 7 PC" is 12. Minimum quantity for "Goody Ouchless Elastic Headwraps, Ocean Tides, 6 CT" is 12. 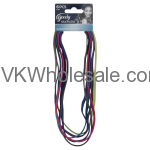 Minimum quantity for "Goody Ouchless Hair Elastics, 30 count" is 12. 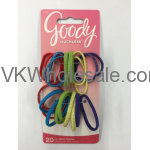 Minimum quantity for "Goody Ouchless No Metal Elastics Assorted Colors 30 PC" is 12. 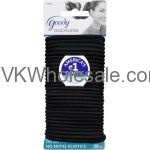 Minimum quantity for "Goody Ouchless No Metal Elastics Black - 30 PC" is 12. 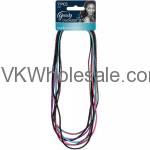 Minimum quantity for "Goody Ouchless No Metal Elastics Small Ponytail Holder Assorted Colors 20ct" is 12. 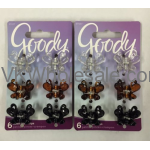 Minimum quantity for "Goody Small Butterfly Claw Clips 6PC" is 12. Minimum quantity for "Goody Small Claw Clips 12 PC" is 12.